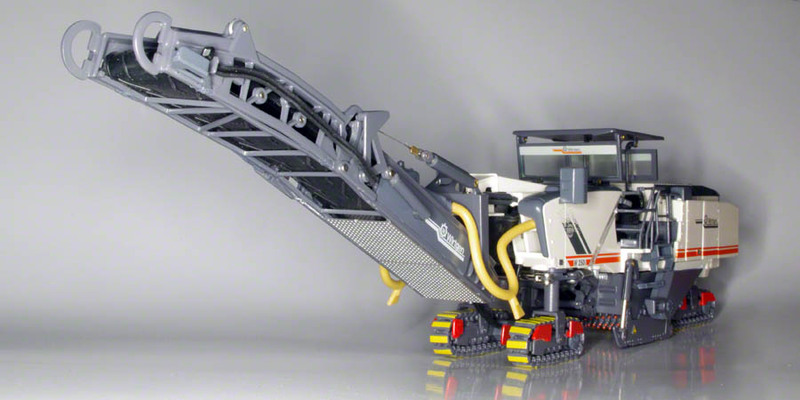 The scale model of the Wirtgen W250i is made by NZG and is introduced at the Bauma 2013. The W250i is the largest model in the current Wirtgen product range, with an engine output of 994 PS and an operating weight of just under 44 metric tons. The model comes in a cardboard box and is enclosed in two styrene trays. A single page with pictures shows the functions of the scale model. There are no instructions or explanations of where to put the supplied separate parts. 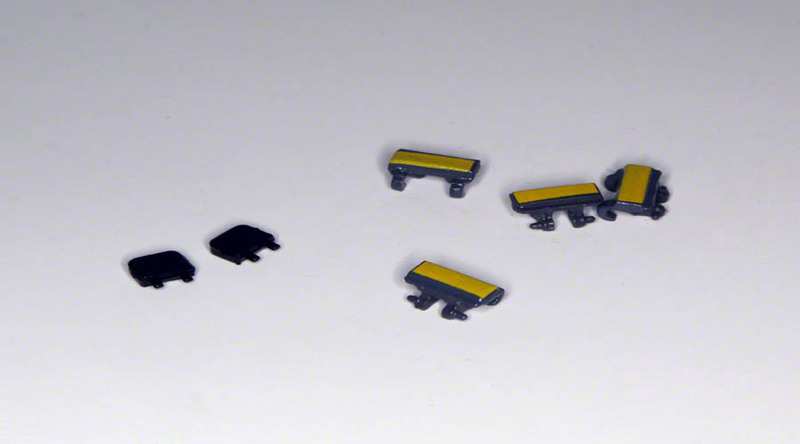 Apart from a couple of additional handrails, some spare tracks are supplied and two mysterious black pieces. After a thorough inspection of the scale model I discovered these are headrests for the driver chairs. Just as with the handrails, these headrests don't stay in place without glue and gluing them in place makes it impossible to fold down the roof. Detailing on the driver's station is excellent, with colored control panels and three large displays facing the driver position on the left. The floor is nicely textured. 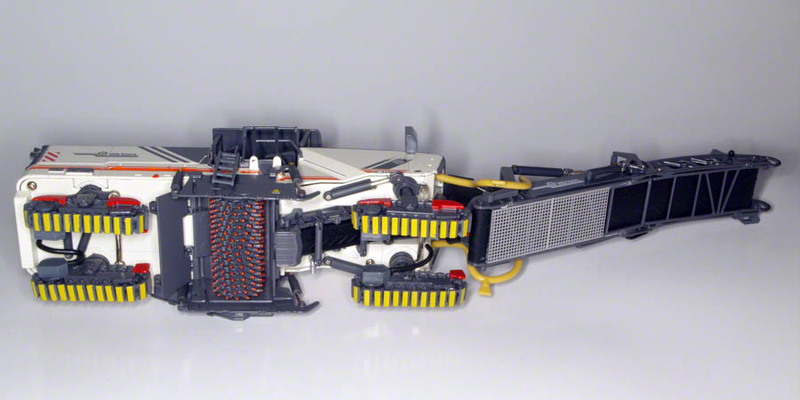 Additional control panels can be found on the sides above the four crawler tracks. The engine compartment features a slotted top and rear grille and a large engine cover opening to the rear revealing the detailed dual engine setup. At the side there are two opening doors which give access to the drive belt for the milling drum. With the model on it's side, we can see a photo-etched cover on the bottom of the conveyor belt and a highly detailed additional conveyor belt which transports the milled material upwards. The drivetrain is also nicely detailed with hydraulic lines to the hydraulic drives and steering cilinders all replicated. The milling drum has side panels which can be raised and lowered and an opening panel at the rear. 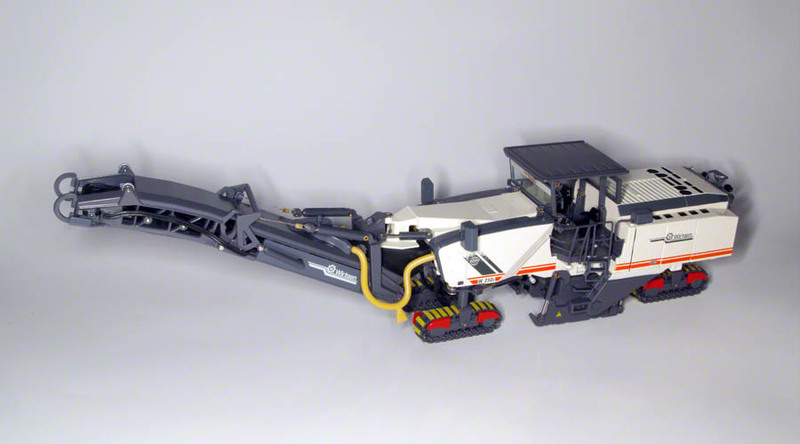 The conveyor belt is nicely detailed with hydraulic hoses, working lights and hoses for the Wirtgen Vacuum Cutting System. 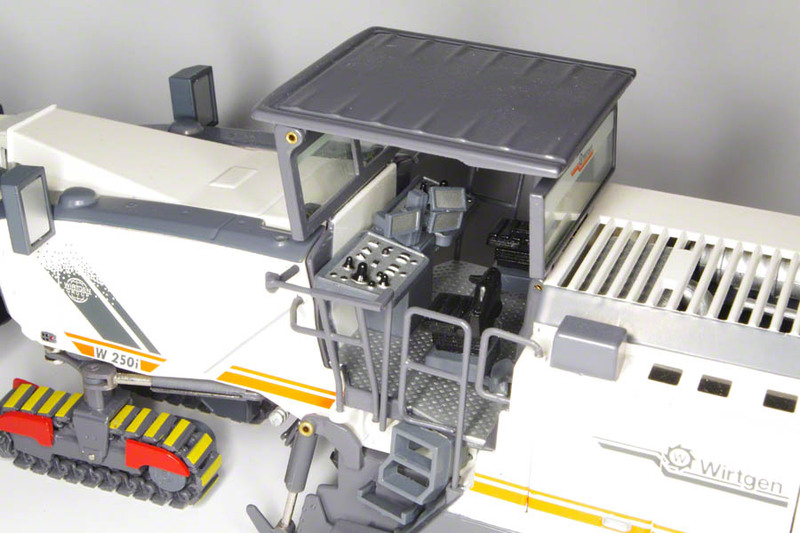 The roof can be lowered and the conveyor belt can be fold down to display the model in transport mode. With the Wirtgen W250i, NZG has introduced an excellent model highlighting the Wirtgen features like the dual engine concept and vacuum cutting system very well. 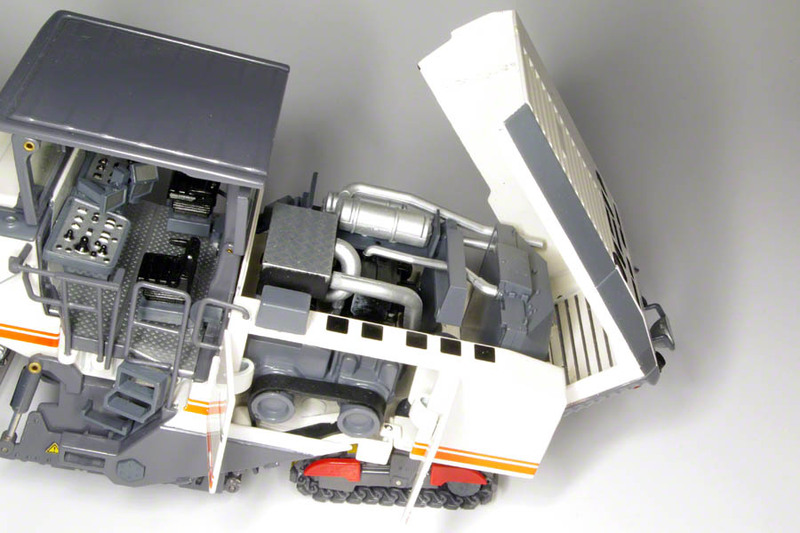 The high detail level and crisp colors and printing make it an excellent model which should not be missing in any collection of road construction models.